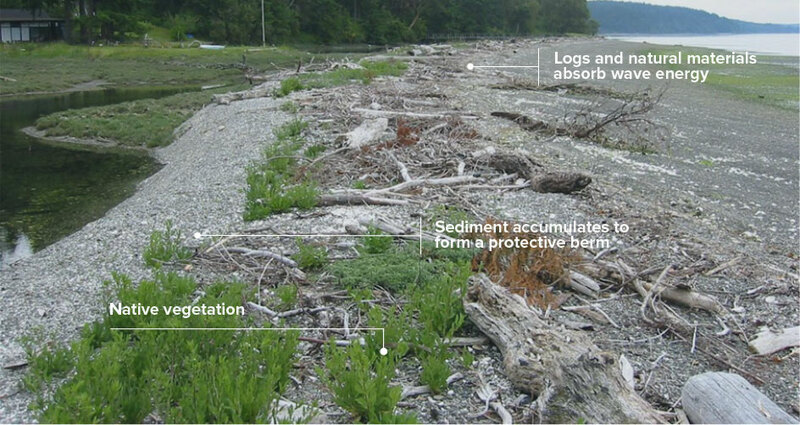 In many parts of Puget Sound, the best way to manage erosion is to leave your shoreline in its natural state, especially if your property is in a low-erosion zone. All beaches have some built-in protection against erosion: the sand and gravel dissipate wave energy, and vegetation and drift logs serve as a buffer in front of bluffs. If you can’t go completely natural, you might be fine with just some plantings, site recontouring, log berms, or other “soft” shore protection. 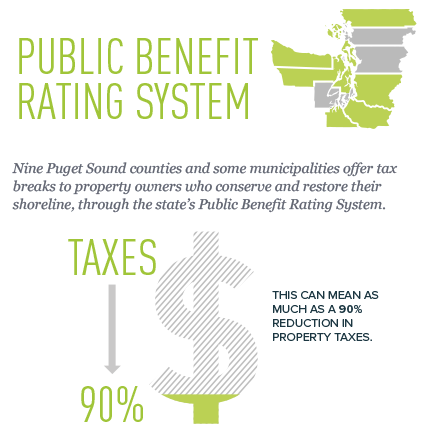 In recent decades, each county in the Puget Sound area has developed regulations that specify minimum setbacks for homes, roads, and other development on waterfront property. This means less need for hard armor and more opportunities to keep beaches in their natural state. New development must also meet standards for erosion protection and drainage. Wherever you live on Puget Sound, a qualified coastal professional can help you explore the best options for your property. Factors to consider may include how far your home, driveway, and other built elements are set back from the high-tide line and whether drainage and landscaping on your property are contributing to erosion.